Preparing to move abroad can take as much of an emotional toll as a physical one. Just the term ‘home removal’ can strike fear into the hearts of many people who have experienced an unpleasant removal with a bad company or on their own. They immediately think of all the lifting, all the time spent wrapping individual plates and glasses, all the organising and packing and cleaning. And, of course, some of this is unavoidable for any home removal from London to Roskilde, but much of it can be taken care of by our capable team of removal professionals, instead of you doing it yourself. You may be thinking that only the most expensive moving companies in London offer services like packing materials and packaging, but think again. We provide a long list of removal services that can be customised to fit your specific removal needs, so if you need movers to help you pack, you’ve got ‘em. If you need packaging materials and moving boxes delivered to your door, no problem. And if you need everything done quickly and on a tight budget, we can accommodate you there, too. Ring us on 020 8746 4402 to find out about all the ways we can help make your house removal to Roskilde as easy as possible. Whether you are moving for a ne job or a job transfer or simply for an adventure and to find something new, we’re here to help. Begin with a home removal assessment so you know just what you’ll need for your move, then have us pack everything up, load everything up and transport everything to your new home. Arrive physically and emotionally rested and ready to explore your new city. Roskilde can be found on Zealand, the large island in eastern Denmark, and is the municipal centre that is home to over 48,000 residents. This charming place has a large pedestrian shopping area, plenty of entertainment and educational opportunities and a long and interesting history. 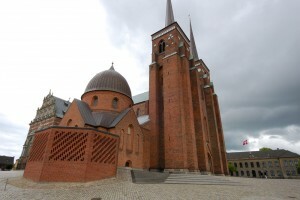 The Roskilde Cathedral and Palace are impressive and interesting stops, as is the Viking Ship Museum, which is home to 5 Viking ships that are on display for visitors to see. 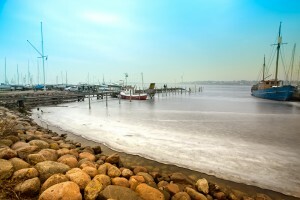 Many people know of Roskilde for its famous music festival named after the city, which has taken place annually since the 1970s – it’s one of Europe’s largest and well known. Leaving home for any reason, whether to attend school, to retire, or to seek a new job opportunity, is difficult. It may seem like a great idea at the start only to have you worrying about how you will actually get all your things moved and how you will pick up and begin a new life as the moving day nears. But with Moving Service handling your removal, you have absolutely nothing to fear when it comes to the safety and security of your belongings, the efficiency and speed with which we will move them and our low, low prices. When you call us today on 020 8746 4402 you can speak with one of our representatives who can help you design the home removal from London to Roskilde that’s right for you. That bespoke package of removal services may include packaging materials but not a packing service or vice versa. It may be done with just a man and a van or you may want to hire a larger lorry to bring more of your things with you. Whatever the choices you make regarding your home removal, we’ll work with you to keep the price down.